Drill down from ELP(Effective Licensing Positions) positions to the relevant starting invoice. The collection of licenses and the deployment of licenses flow any time into the temporary “Effective Licensing Position” ELP. At the end of the collection, plausibility check and allocation of licenses(Downgrades, Upgrades, Virtualisation and others), the tool box can be used as a status document. The summarised license stock can then be used as templates to complete a license management tool. 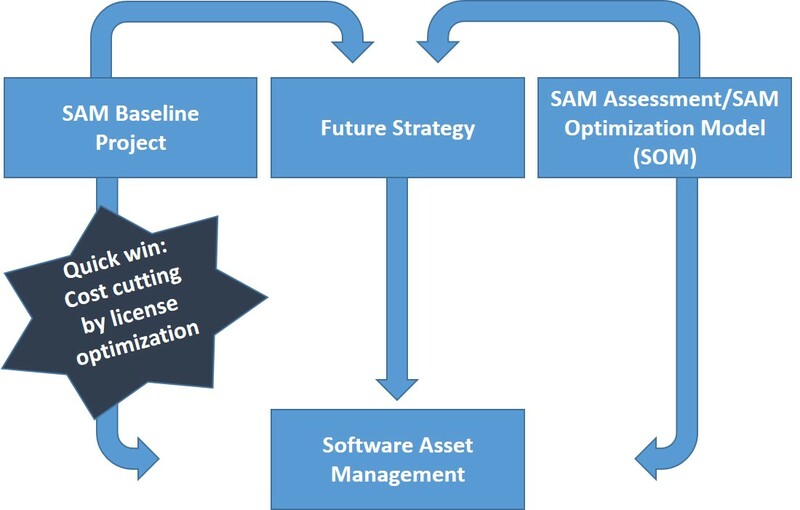 In this way the SAM toolbox ensures that the basic requirement from software manufacturers about the documentation of license assignment is met. and presents a base for the realisation of Quick Wins.